Effecting change often requires us to tell our elected officials how we feel. The White House and members of Congress listen to their constituents, and care about constituent opinions. But to be effective, you must properly communicate your point. Elected officials and their staff are people too, and as you would react negatively to someone who sent you an angry or threatening letter, so do they. Click the “How to Advocate” button to download some guidelines that are founded on civility and common sense. Below is a list of Websites where you can find out more about what your government does, and how to contact your leaders. It is also important to maintain knowledge of Israeli relations; take a look at the Embassy of Israel to the U.S. also. While advocating to political leaders will get your voice heard by the individual leaders, it is also effective to advocate to your peers. Though the overall message may be the same, advocating to your peers is much different in its presentation and execution. We live in a country where each individual is allowed their own opinion and voice; how we use that voice can mean the difference between keeping your relationships in tact, or losing them. Click the SOCIAL ADVOCACY button for some tips on social advocacy. Through the Heller Community Relations Committee, The Federation of Sarasota-Manatee offers programs throughout the year where you can learn about issues, offer support, attend a rally, engage with community leaders, and more. Click HERE to learn more about the Heller CRC. Without the donation of advocates and other community members, programs like the Heller CRC wouldn't be offered. 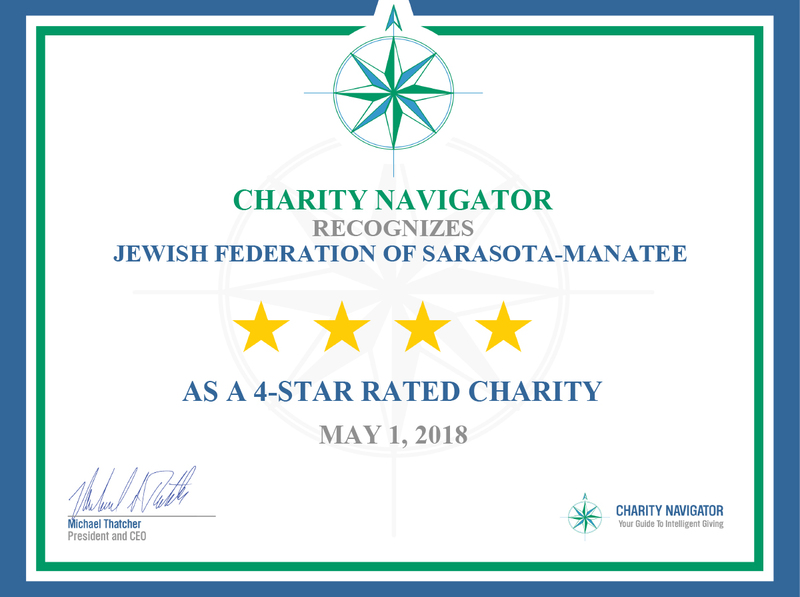 Making a donation to The Jewish Federation of Sarasota-Manatee helps to support advocacy for Israel, and strengthens Jewish life and identity in our community. Click HERE to make a donation to The Federation, and help promote the support of Israel.